by A. Tommasi , G. Attardi , A. Cisternino , F. Formica and M. Simi . by A. Esuli , G. Attardi , A. Cisternino and M. Simi . by A. Cisternino , D. Colombo , and D. Picciaia . Realization of a platform for building interface agents embodied in a robot. by D. Colombo , and A. Cisternino . by A. Esuli , A. Cisternino , G. Pacini and M. Simi . by G. Attardi , S. Di Marco , D. Dato , A. Gullì and D. Salvi . Search engine and automatic categorization of Web pages. by G. Attardi , Maria Simi , Alessandro Tommasi , and Cristian Burrini . Concept Learning and Question Answering. by G. Attardi et al. Development of Java applications and tools in the framework of the Java Campus initiative by Sun Microsystems Italia. by M. Simi and A. Cisternino . Configuration assistants for plans of study compilation. by E. Bresciani , M. Simi , V. Tomatis and A. Cisternino . 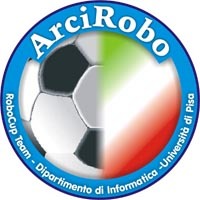 by G. Attardi , A. Cisternino , D. Dato and A. Gullì . by A. Lucchesi , G. Attardi , G. Cignoni and R. Scopigno . by S. Imboden , G. Attardi , G. Cignoni and M. Betrò . by A. Cisternino D. Maggiorini . ObjShell is a component oriented shell for Windows that enables users to interact directly with COM and .NET components. by A. Sperduti , A. Micheli , A.M. Bianucci and A. Starita . Study of "LInear Output Neural networks for Structures" in the chemical-pharmaceutical domain. by M. Simi , A. Cisternino , R. Bernardini , T. Schiavinotto , A. Tommasi e C. Zavattari . Software Agents that play soccer. by M.R. Laganà , G. Pacini e M. Simi . A program that synchronizes two windows' folder in real time. Has bee used to protect Windows 98 at our Computer Labs. by Giuseppe Attardi , Antonio Cisternino e Alessandro Tommasi . by A. Tommasi , R. Bernardini , A. Esuli , F. Lombardelli , G. Ranzuglia , C. Zavattari and M. Simi .